While there are a few major classifications of amputations, every person is unique. 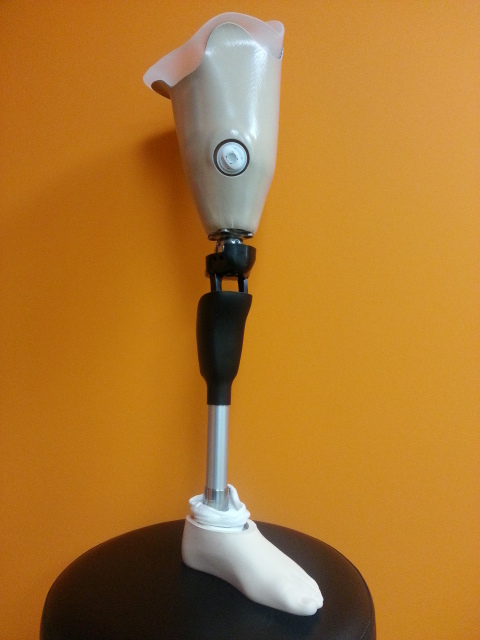 It is because of this that Align Clinic treats each prosthetic patient individually. Whether or not you are an athlete, someone requiring a walker in order to shop at a store, or anywhere in between, Paul Burnette will be sure to provide you with the most appropriate prosthetic care. On your first visit, he will ask you many questions concerning your current lifestyle and what expectations you may have. 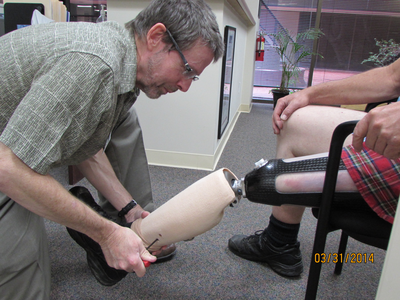 We understand you are looking for a prosthesis that best meets your own unique needs and a prosthetist that can deliver on that promise. 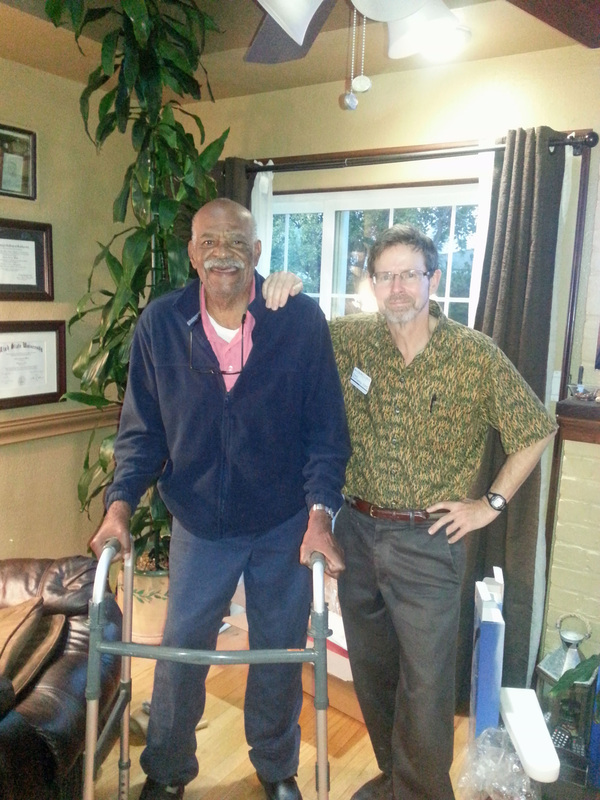 With over 33 years of direct care experience, we are confident we can do just that. Whether or not you have been wearing a prosthesis for years, or someone who is being evaluated and fit for the first time, we will strive to make sure you are provided with not only the componentry that makes sense for you, but a socket that fits comfortably and securely. 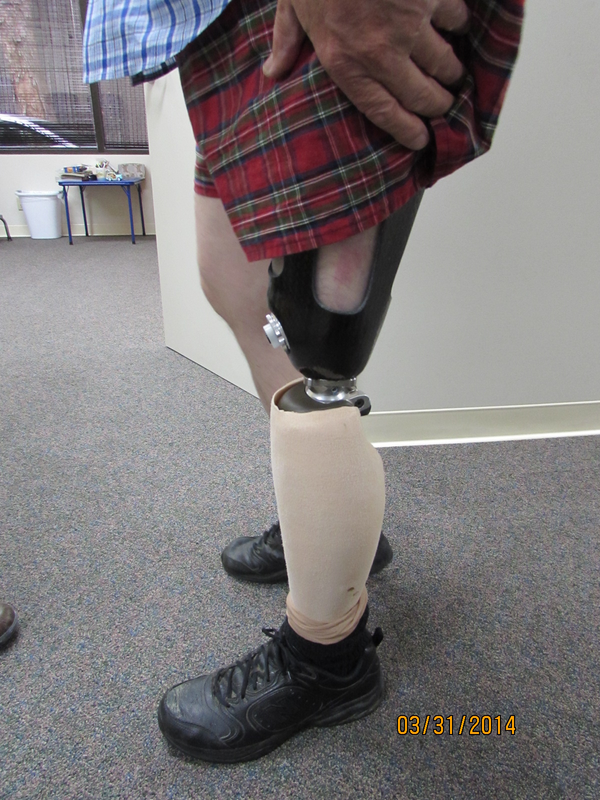 Align Clinic will of course continue to work with you after your prosthesis is delivered, since proper follow up care is imperative for both fitting comfort of the socket and functionality of the components. There has been some amazing advancements in prosthetic componentry just over the past ten years, from microprocessor controlled knees and ankles, to fingers that move independently. However, we have always understood that even the most modern knee or foot does not mean anything if the socket itself is not comfortable and is designed properly. Paul Burnette has the years of experience and know-how to make sure this is accomplished. He will use all of the tools at his disposal, from years of hand casting skills to using a 3-D laser imaging system when he feels it is applicable. We very much look forward to meeting and talking with you. Our initial evaluation is always done at no cost. Our main goal is to get you back to where you want to be. With our expertise, and your determination to reach that goal, you are sure to achieve that desire. Above knee amputation, often referred to as an “AKA” (and an above knee prosthesis as an “AK), is the 2nd most common form of amputation. The technical name for this level of amputation is “transfemoral”, literally meaning across-the-femur. Prosthetic advances for amputees of this level continue to increase at a rapid pace, in both socket design and knee and foot componentry. Microprocessor knee systems, once considered experimental, are becoming the standard of care. There are now even externally powered knee systems as well. 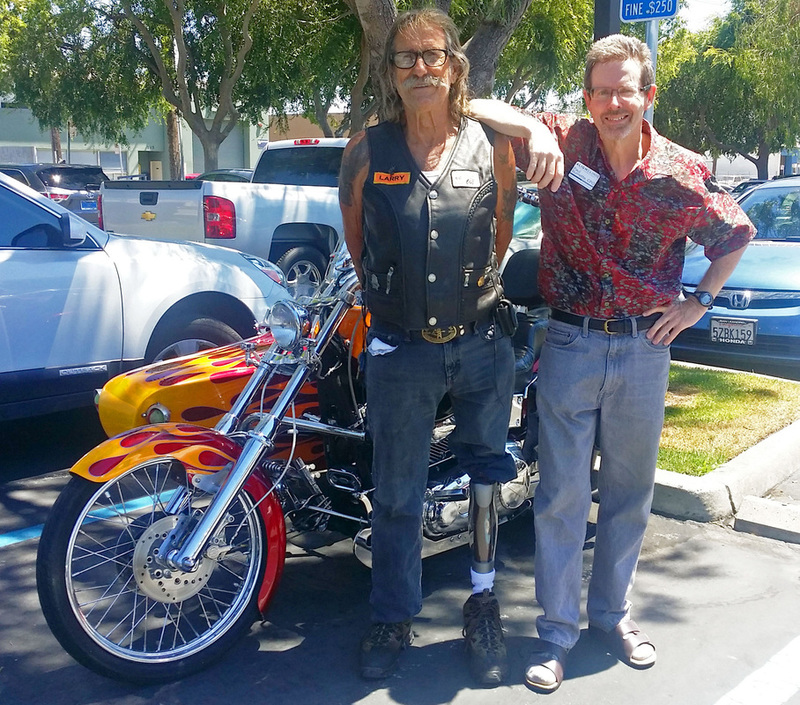 The continued advancement in Microprocessor knee systems are allowing amputee's greater freedom and mobility than ever before. 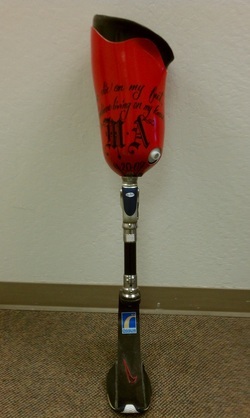 The C-LEG, Rheo, Orion and Plie knees are a few examples of this technology. 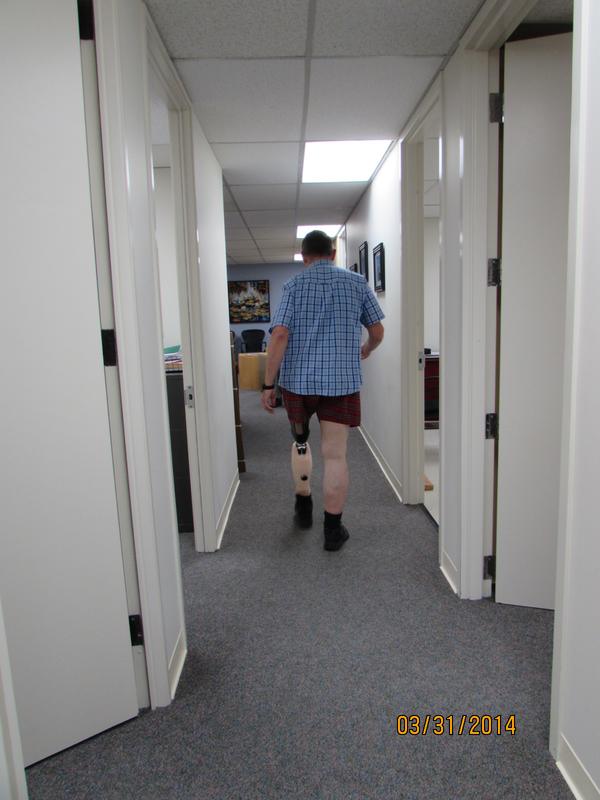 Now the ability to walk safely down stairs step over step and negotiate ramps (one of the most difficult walking tasks an amputee faces) has become a reality because of this type of knee. Socket design is ever changing as well. One of the newest technologies in this is called the High-Fidelity Interface. Paul Burnette, CPO, recently became one of the only two prosthetists in the California Bay Area licensed in the HiFi Interface. “We wanted to license our revolutionary socket design to a select group of prosthetic companies throughout the country that shared our same clinical expertise, commitment to patient satisfaction and desire for innovation. Our plan is to continue to add prosthetic facilities into our professional HiFi network and to continue to create clinical solutions and products to improve patient performance,” said Randall Alley, Biodesigns CEO and chief prosthetist. The patent-pending HiFi Interface was developed by Alley, who trained Paul in the fitting technique using a specialized casting system. The HiFi Imaging Device compresses the limb in specific areas during the casting process to ensure that the optimum compression and tissue release is transferred to the new socket. According to Alley, patients upon feeling the compression and release imparted by the casting device are immediately able to feel the advantage of the HiFi Interface design. The HiFi Interface offers a radical departure from traditional socket designs, in which a patient’s soft tissue in the residual limb is simply encapsulated, with little thought to the biomechanics involved in controlling the motion of the limb within the socket. This restricts the amount of control a socket can impart upon the bone buried beneath the soft tissue. Because the bone is centered in the tissue and in a traditional socket this tissue does not offer much resistance to bone motion, the patient expends a significant amount of energy inside the socket merely moving the bone rather than using it to transmit force or torque to the prosthesis. In contrast, the HiFi Interface’s design consists of four struts, which compress and preload tissue; an alternating pattern of open areas allows a significant volume of the limb’s tissue to exit or flow out of the way. Now the socket is able to connect closer to the bone, minimizing or eliminating the movement of the bone within the socket so the patient has more control, function, and comfort. More energy efficient. It preserves motion rather than absorbing it so that more of the wearer’s input is converted to prosthetic output. Increased comfort; more effective heat dissipation. More intimate fit for increased functionality. The perceived weight of the prosthesis is significantly less. Align Clinic is a completely independent company, which means we are not bound to only offer certain componentry. 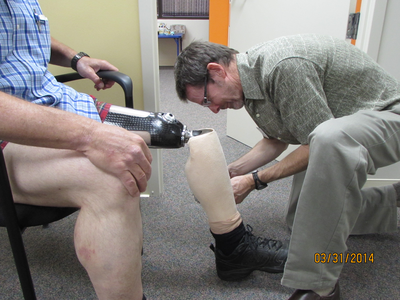 We will make sure the prosthetic componentry matches your needs. Endoskeletal Transfemoral prosthesis with cosmetic cover removed. A Left transfermoral amputee wearing the HiFi interface. Here Paul is calibrationg the Hi-Fi Imager used during the casting process for this unique prosthetic interface. 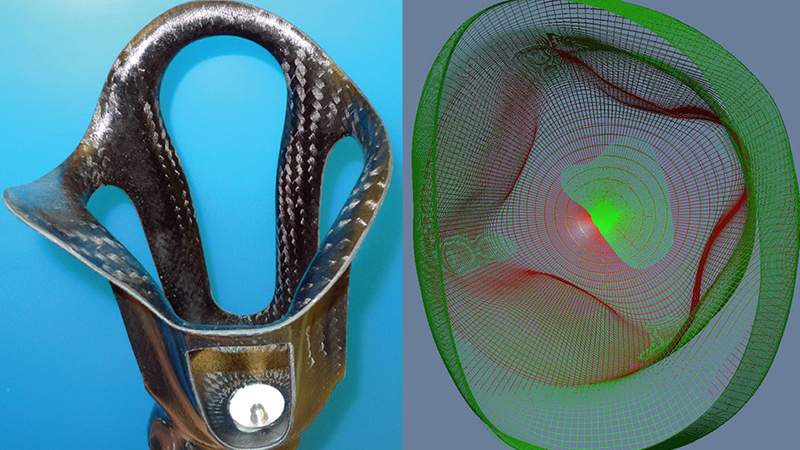 On the left is the The Hi-Fi socket innerface, and on the right is a CAD rendering of the shape. This patient is being seen for a dynamic test socket fitting. 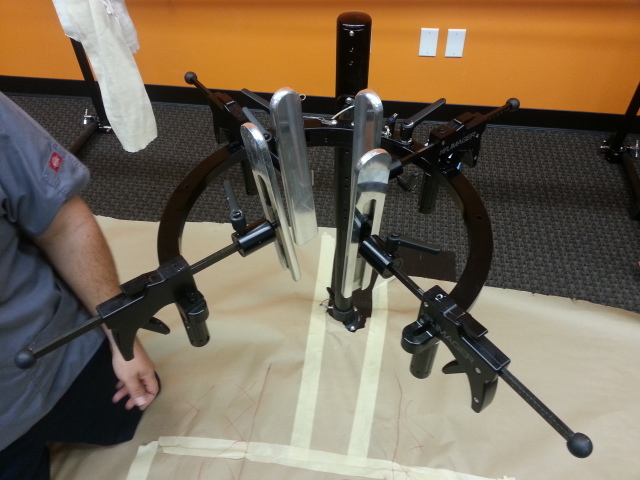 This way we can achieve the best possible fit and alignment for the patient. 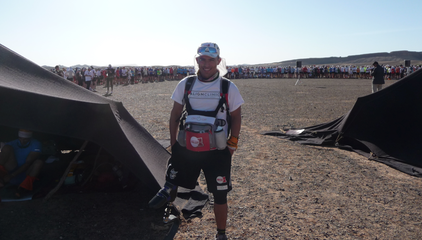 Here's Mohamed, our fearless technician, just before the start of the 28th Sultan Marathon des Sables 2013. This 150 mile (!) ultramarathon through the desert of Morocco is considered by many to be the toughest foot race in the world. 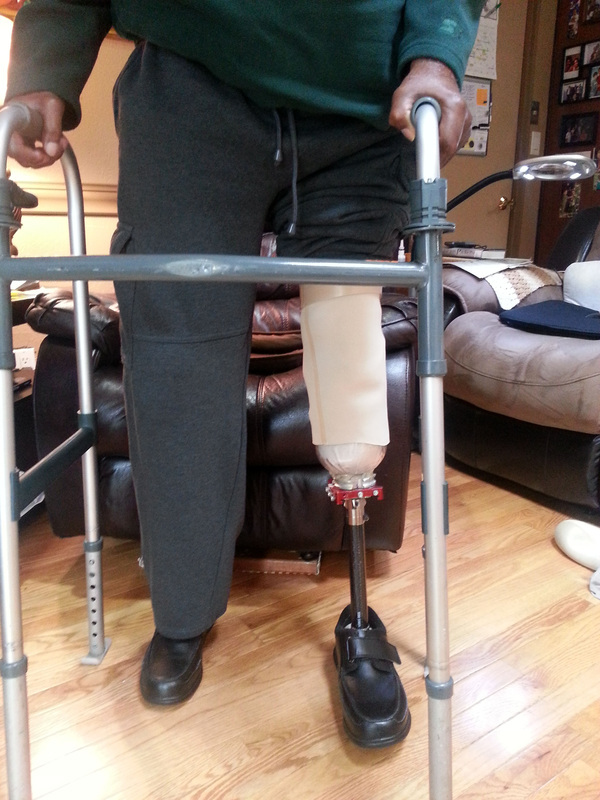 Mohamed was the second prosthetic wearer to ever finish this race in it's 27 year history. To say the least, everyone here at Align Clinic is quite proud of this achievement! To give you some idea of the grueling nature of this race, a runner lost his way during a sandstorm during the 1994 race, and wandered lost in the desert for nine days before being found.